Franklin Electric Australia celebrates 50 years supporting the Australian Water Industry. Franklin Electric was founded in 1944 in Bluffton Indiana USA. From the early 1950’s Franklin products were imported into Australia for use for below ground pumping. As a result of the popularity of these new and unique motors exported from the USA, the founders and owners of Franklin Electric realised the potential of marketing their products to countries around the world. To expand the Company they decided to establish overseas affiliates. In 1962 Australia was selected to be the first foreign entity for Franklin Electric. A few years later facilities in Germany and South Africa followed. Australia was a natural country to start with due to its high levels of expertise, over a decade of experience using Franklin products, an expectation of quality products and service and a good understanding of literature and manuals. Commencing back in 1962 in Dandenong Victoria, close by to its present site, Franklin Electric commenced importing and distributing 4” submersible products. Soon after, local manufacturing commenced with specialised imported parts to offer the Australian Water Industry Franklin’s world leading 4” submersible motors. Over the decades Franklin Electric motor products were designed and evolved to provide the industry with the highest quality 4” 6” 8” 10” and 12” submersible motor products available. The main benefit that the Australian industry has come to rely on from Franklin is our Quality, Reliability and performance. Franklin demonstrates these every day to its customers through its 5 Key Factors for Success: Quality, Availability, Service, Innovation and Cost. Franklin submersible motor products became Australia’s leading submersible motor and indeed the world’s most installed submersible electric motors. 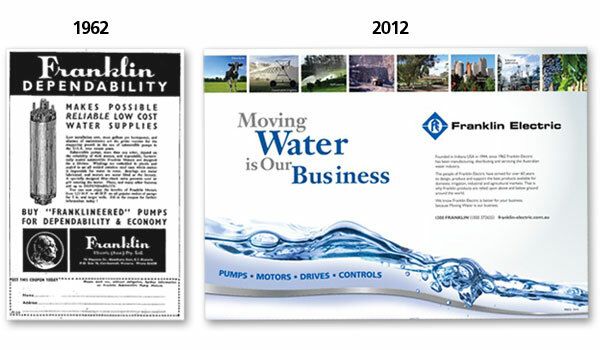 Franklin had been partnering pump manufacturers for decades and had developed a deep understanding of the market. When the industry started to consolidate around the world in the late 1990’s and early 2000’s Franklin had some serious decisions to make. In the 2004, Franklin Electric announced the purchase of JBD, (the former Jacuzzi industrial range) and that they were entering the pumping industry by launching Franklin Pumping Systems, now known as FPS. Starting from a very low share, FPS is now the leading US market. As the pumping industry is global, similar issues applied in Australia. In late 2007 Franklin Electric Australia after 3 years of evaluating the market, entered the main water pump industry by launching and distributing their FPS range of submersible pumps and above ground pumps, motors, drives and controls direct to their own Australian dealer network. Since that change back in 2007 the company has invested in the Franklin Electric brand with a targeted marketing communications program that has steadily increased their market share. This meant that the Franklin Dealer Group had to grow from less than 30 customers in 2007 to more than 850 dealers today to manage the dramatic increase in product distribution and demand for their quality pumping products. 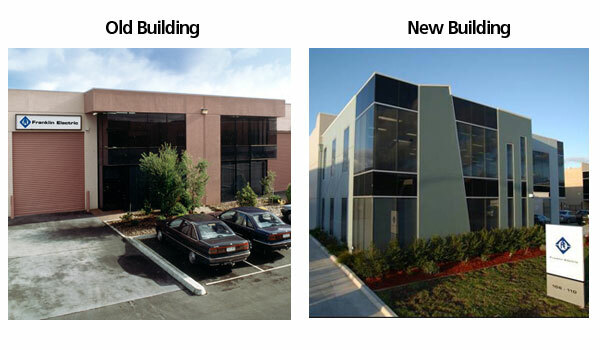 Based on decades of knowing how Franklin Electric products performed, the industry responded in a very positive way to the Franklin change. Over the last 50 years Franklin has launched a whole series of innovative and functional products that have proved to be remarkably reliable. This has enhanced the Franklin Electric reputation for quality, performance and reliability. But more than this, Franklin has also earned the trust of their dealers over many transactions over the last 50 years. This partnership has flourished and resulted in growth for both their dealers business and the Franklin brand.